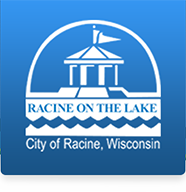 Maintain a fair, uniform application of policy between all departments within the City of Racine organization. He is responsible for coordinating and supervising daily city operations, coordinating and supervising the preparation of the budget, monitoring budget spending, and also reporting any changes in the budget as a whole directly to the Mayor. He also evaluates the efficiency of all city employees and managers and recommends salary adjustments to the mayor, based on their performances. Policy leaders have the responsibility of sensing community values and obtaining feedback on local government performance. A comparison is made between the desired outcomes and the actions of the local government. The Mayor and Administrator have the responsibility to interpret the directives of the policy leaders and translate them into guidelines for employees.